LEXUS IS200 1999-2005 ALL MODELS ( S - SE - SPORT - SPORTCROSS ). OTHER IS200 / IS300 / IS220 / IS250 PARTS SET OF CAM SHAFTS AND BOLTS. GENUINE LEXUS PARTS. ANY FAULTY ITEM WILL NEED TO BE REPORTED TO US WITHIN 24HR AFTER RECEIVING. We do not cover any labour or garage fees or any other expenses caused if the item appears to be faulty. LEXUS GS (_S19_) 300 (GRS190_) Saloon Petrol 04/2005 11/2011 RWD 24 249 183. Function Rocker Arm, engine timing. LEXUS CT (ZWA10_) 200h (ZWA10_) Hatchback Petrol/Electro 12/2010 on FWD 16 99 73. LEXUS IS C (GSE2_) 250 (GSE20) Convertible Petrol 04/2009 on RWD 24 208 153. LEXUS GS (_S19_) 300 (GRS190_) Saloon Petrol 04/2005 11/2011 RWD 24 249 183. LEXUS GS (_S19_) 450h (GRS191_, GWS191_) Saloon Petrol/Electro 02/2006 11/2011 RWD 24 345 254. LEXUS GS (_S19_) 450h (GRS191_, GWS191_) Saloon Petrol/Electro 02/2006 11/2011 RWD 24 296 218. Part Number VE363211. CAMSHAFT SENSOR FOR LEXUS RX 300 3.0 1999-2003. The Camshaft Sensor monitors the position of the camshaft to allow correct timing of ignition in the engine. Model RX 300. Model Range/Series RX. FOR LEXUS IS200d. Part specifications. This is an original quality part manufactured by Blue Print. PART NO: 12014 1290. 2.5 V6 CAMSHAFT CAM SHAFT POSITION SENSOR. WILL FIT LEXUS IS 250IS 300 MODELS BETWEEN 2014-ONW. ENGINE: 2.5L V6. REMOVED FROM 2014 LEXUS IS250 F-SPORT PETROL AUTOMATIC. are here to help you. Fitting Position: Right; Fitting Position: Intake Side. TOYOTA 153300P030, 1533031030. Engine code: 2AD, 2231 cc, 175 bhp. Model: 2006 Lexus IS MkII 220D SE (model 2005-2013). Genuine 2 X CAMSHAFT SET. Body Type: 4-door saloon, pre-face lift model 2005-2010. Part Number: LCS066 (Ref.Only). Make: LEXUS. Valve(s) Fuel/Body Type KKW/Bhp Drive Engine Code. Quantity: 1. Product Type: CAM SENSORS. Resistance (ohm) 1100. FOR LEXUS IS250. Part specifications. This is an original quality part manufactured by Blue Print. 1 Pair of used Camshafts suitable for Lexus 2.0 24V 1GFE VVC. 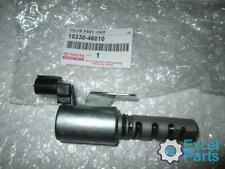 (Other Details: Mk 2 2003-2009 VAPOR CANNISTER PURGE VALVE SOLENOID PART NUMBER 25860-62010. LEXUS RX SERIES Engine Sensor 0000272694. Jersey, Guernsey, Scilly Isles) as well as for the Scottish Highlands. TOYOTA HARRIER (_U3_) 3.0 4WD (MCU35_, MCU36_) MPV Petrol 10/2003 12/2008 AWD 24 204 150. LEXUS ES (MCV_, VZV_) 3.0 (MCV30_) Saloon Petrol 08/2001 10/2006 RWD 24 213 157. Function Inlet Valve. TOYOTA WINDOM (_V2_) 3.0 Saloon Petrol 10/1996 07/2001 FWD 24 211 155. TOYOTA HARRIER (_U1_) 3.0 4WD (MCU15) MPV Petrol 03/1998 01/2003 AWD 24 223 164. LEXUS ES (MCV_, VZV_) 3.0 (MCV30_) Saloon Petrol 08/2001 10/2006 RWD 24 213 157. Function Outlet valve. TOYOTA WINDOM (_V2_) 3.0 Saloon Petrol 10/1996 07/2001 FWD 24 211 155. LEXUS ES (MCV_, VZV_) 3.0 (MCV30_) Saloon Petrol 08/2001 10/2006 RWD 24 213 157. Fitting Position: Right; Fitting Position: Intake Side. Model year to: 02/2003; Fitting Position: Right; Fitting Position: Intake Side. LEXUS NX (_Z1_) 200t (AGZ10_, AYZ10_, ZGZ10_) Hatchback Petrol 07/2014 on FWD 16 238 175. LEXUS NX (_Z1_) 200t AWD (AGZ15_, AYZ15_, ZGZ15_) Hatchback Petrol 07/2014 on AWD 16 238 175. LEXUS NX (_Z1_) 300h (AYZ10_, AGZ10_, ZGZ10_) Hatchback Petrol/Electro 07/2014 on FWD 16 155 114. Engine Valve fits LEXUS IS200 Mk1 2.0 99 to 05 1G-FE BGA. LEXUS IS I (_E1_) 200 (GXE10) Saloon Petrol 04/1999 07/2005 RWD 24 155 114. LEXUS IS SportCross (_E1_) 200 (GXE10_) Estate Petrol 10/2002 10/2005 RWD 24 155 114. This is an original quality part manufactured by Lemark. FOR LEXUS GS460. Fitting Depth:3 mm. Vehicle compatibility. Part specifications. 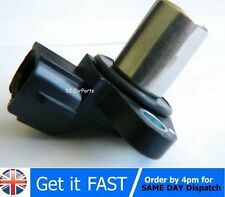 CAM SENSORS FOR LEXUS IS 2.2 2006- LCS374. Part Number: LCS374 (Ref.Only). Make: LEXUS. LEXUS IS 220d (ALE20) 2.2/2231 1/2006- 4/4 Diesel/Saloon 130/177 Rear Wheel Drive 2AD-FHV. Valve(s) Fuel/Body Type KKW/Bhp Drive Engine Code. This is an original quality part manufactured by Delphi. FOR LEXUS RX300. Quantity Included:1. Part Number VE363223. Model RX 400h. The Camshaft Sensor monitors the position of the camshaft to allow correct timing of ignition in the engine. Model Range/Series RX. Camshaft Sensors. Camshaft Sensors are otherwise known as. TOYOTA HARRIER (_U1_) 3.0 4WD (MCU15) MPV Petrol 03/1998 01/2003 AWD 24 223 164. LEXUS ES (MCV_, VZV_) 3.0 (MCV30_) Saloon Petrol 08/2001 10/2006 RWD 24 213 157. Fitting Position: Left; Fitting Position: Intake Side. Part Manufacturer Number:SEB1594. The crankshaft / camshaft sensor lets the engine know which cylinder requires petrol injection and when. This is an original quality part manufactured by Elring. FOR LEXUS GS I. Radial Shaft Seal Design:ASW. Dust Cover:with dust lip. Material:FPM (fluoride rubber). Q9569Q, Q15577Q. Part specifications. This is an original quality part manufactured by Elring. FOR LEXUS GS II. Radial Shaft Seal Design:ASW. Dust Cover:with dust lip. Material:FPM (fluoride rubber). Part specifications. This is an original quality part manufactured by Elring. FOR LEXUS SC II. Radial Shaft Seal Design:ASW. Dust Cover:with dust lip. Material:FPM (fluoride rubber). Part specifications. Camshaft Position Sensor VE363211 Cambiare. Part Number VE363211. TOYOTA AVENSIS Station Wagon (_T22_) 1.9 D Estate Diesel 09/2002 02/2003 FWD 16 115 85. TOYOTA AVENSIS Station Wagon (_T22_) 2.0 D-4D (CDT220_) Estate Diesel 10/1999 02/2003 FWD 16 110 81. This is an original quality part manufactured by Lemark. FOR LEXUS ISF. Fitting Depth:3 mm. Vehicle compatibility. Part specifications. This is an original quality part manufactured by Elring. FOR LEXUS LS I. Radial Shaft Seal Design:ASW. Dust Cover:with dust lip. Material:FPM (fluoride rubber). Q3623Q, Q4763Q. Part specifications. This is an original quality part manufactured by Elring. FOR LEXUS LS II. Radial Shaft Seal Design:ASW. Dust Cover:with dust lip. Material:FPM (fluoride rubber). Q9564Q, Q14482Q. Part specifications.